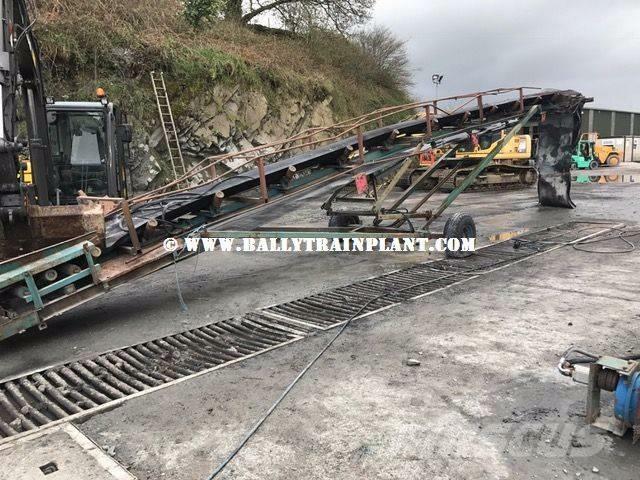 Additional Information Powerscreen M60 Conveyor (1) 800mm wide belt for Sale, Mobile on Single axle chassis, 50 foot / 14.5m long and 800mm wide belt. Various work heights. Complete with Hydraulic Motor drive which can be plumbed to crusher / screener to operate or to Hydraulic Power pack. Excellent condition Conveyor with Very good belt and rollers. Ideal Conveyor for stock piling or transferring material from crusher to screener etc. Please inquire for more details on this Powerscreen M60 conveyor as we have a large selection of conveyors available at present. Shipping arranged worldwide by container packing and we can load numberous conveyors to one container if required. Only €3,250 for this Powerscreen M60 Mobile Conveyor.